The idea behind our Full Focus series is to let the reader listen to a track from an album at the same time as reading the concepts behind the track as seen by the composer and the musicians involved. 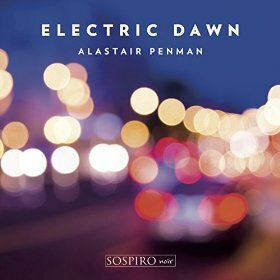 Reeds player, composer and educator Alastair Penman released his excellent album Electric Dawn in November 2015 and we reviewed it here. The whole idea behind Electric Dawn was to bring together my two main interests – the saxophone and technology. 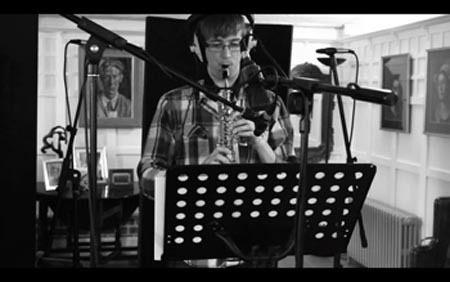 A lot of my compositions on the album are actually re-workings of individual movements from a 30-minute suite that I wrote and performed with guitarist Emma Smith whilst studying at the RNCM in 2012. The initial versions used a plethora of hardware effects pedals and about a mile of cables … but just three years on, the technology has improved so much that the electronics could be much more integrated and easily programmed (the album was recorded/mixed using Logic and ProTools, and for live performance I use MainStage). In the production of the album, it was important to me that despite the overdubbing and processing, all of the pieces should be reproducible live. Whilst studying in Cambridge, I was lucky enough to be able to indulge my interest in the use of electronics and start a Brecker Brothers tribute band with a bunch of great musicians (including Misha Mullov-Abbado on bass, Tom Green (best known for his trombone playing) on keys and James Davison on trumpet). Although the band only lasted a year or so (we were clearly too hip for the Cambridge scene…), it was immense fun while it did! Getting back to the album, perhaps the most interesting of my featured compositions is Sandbox, which is also the most recent composition, written in January 2015. Sandbox was the first of my works in which all of the effects are purely software based, with no hardware pedals used. It was somewhat of an experiment, as reflected in the title, Sandbox, a term used in software development to refer to a safe environment for testing new code. Sandbox is split into three distinct sections. In the first section, I wanted to simulate what it would be like if you could have a sustain pedal on the saxophone, much like on a piano, so that it would be possible to build up rich harmonies and chords. This was actually surprisingly easy to implement, using a combination of pre-recorded samples and reverb/delay to create the sustain effect. After the sustained opening section, a drone is introduced using a harmonizer to create stacked fourths. Over this cushion of sound is a quasi-improvisational section employing quarter-tones for added colouration. This is then rudely interrupted by a 5/4 riff that serves as the basis for the final section of the tune. Although Sandbox was written to be performed with software based electronics, one of the main ways in which I come up with compositional ideas is through improvisation, and for this particular piece I was messing about with an old loop pedal when I came up with the riff and the subsequent harmonies that build on top of it. After the opening riff, extra layers are added until there are five altos playing together, with a sixth alto played through an octave harmoniser providing the bass. This “choir” of altos serves as the backdrop for a solo before the final build to the end of the piece. Throughout the whole piece, the harmony in Sandbox remains very static, which puts an emphasis on the changing orchestration and grooves. In fact, the whole piece is based on a single Phrygian dominant scale (sometimes referred to simply as the “Jewish Scale”). When composing the piece, I didn’t set out with this intention or scale in mind - it just happened organically - but the use of this scale really adds to the ethnic feel of the piece. Whilst Sandbox is probably one of the most interesting pieces on the album in terms of the electronics employed, readers may also enjoy this arrangement of Marius Nesest and Daniel Herskedal's Swan Island which has been rescored from soprano and tenor saxophones, tuba and choir to alto saxophones, bass clarinet and electronics. Another personal favourite from the album is Jenni Watson’s Deconstruct which is not only a brilliant composition (see the album notes to understand the background to it), but also a triumph of production by John Harle. Click here for details of the album Electric Dawn. 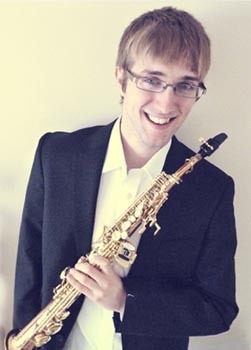 Click here for Alastair Penman's website.